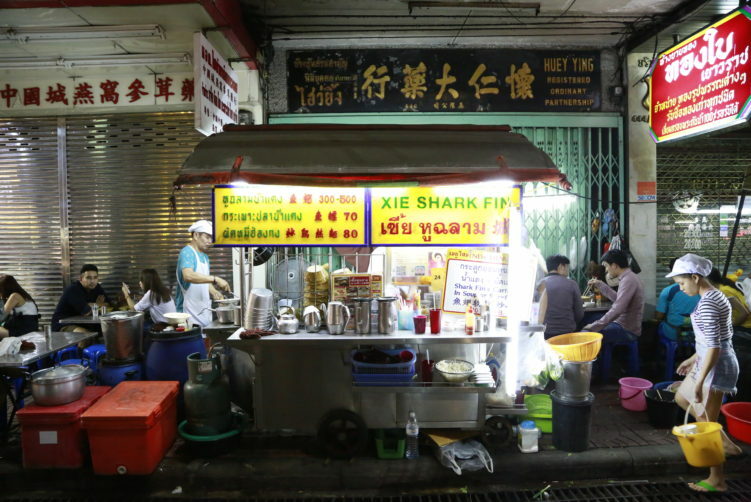 Xia Hu Chalam (or Xie Shark Fin) along Yaowarat road, just outside Haki Lim Hieng and close to the old market, is my first stop this evening after returning to Bangkok’s Chinatown. A centrally located street stall reputed for it’s fish maw, and they deliver. For a good number of seconds I just close my eyes, forget my wallet on the table, and enjoy the rich taste and excellent texture. If food was 100 % of my life, Bangkok’s Chinatown would be an attractive place to settle down. So much variety, so much greatness on a plate or in a bowl. I never stop getting surprised by how good the food can be in this charming part of the city. And it’s never more than a few meters away from you. The signature dish at Xia Hu Chalam is shark fin soup (hu Chalam), but I didn’t order that as I don’t wish to support the killing of sharks, only using the fins before they drop them back (still alive) in the water. I came for the the fish maw (krapho). Locals knows of course how good fish maw can be, but let me make a strike for the dish for westerners and visitors to the city of Angels. It’s a pure delight. The options are either as a soup (pla) or stir-fried (pad). I went for the soup version as that is what I prefer. I also ordered a plate of stir-fried Hong Kong egg noodles with crab meat. Both servings can be ordered as small (70 Bath) or big portions (100 Bath). It all came out tasty and properly made with the right texture. Fish maw with plenty of herbs in the base is a real favorite of mine. But Xia Hu Chalam is also a good spot for hong kong egg noodles – strangely not a widespread choice in Bangkok. They are by the way ticker than the tiny angel hair like noodles, but thinner than standard egg noodles. In my opinion they are excellent for stir-fry dishes with vegetables and proteins like crab. It is rather easy to recognize Xia Hu Chalam on the Yellow board around the top of the small stall. Despite being busy, the service is friendly and rather quick. It’s next to the traffic, but thats part of the charm. 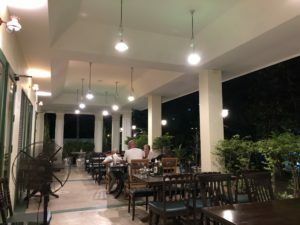 https://www.handdy.com/accounts/ order now Food: Most known for their fish maw. 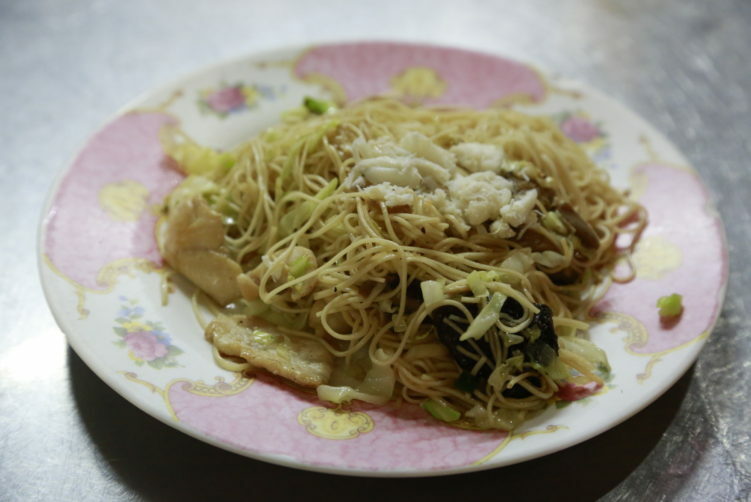 The stir-fried Hong Kong egg noodles with mushroom and crab meat are also very good. 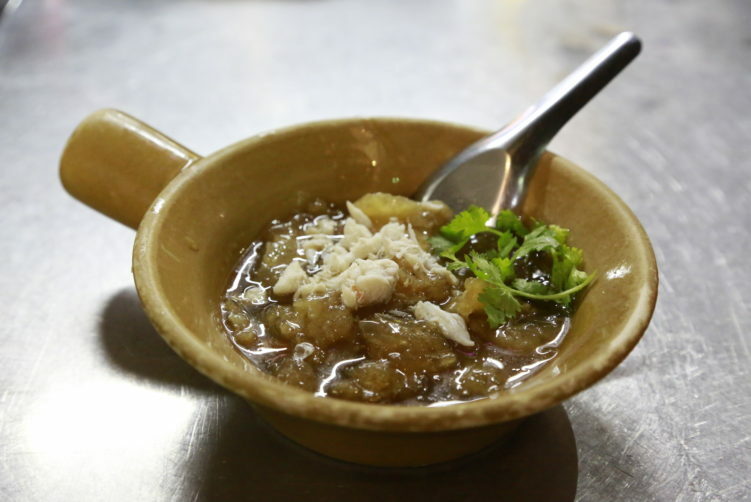 A list of about 8 dishes, including shark fin soup (hu chalam) ranging from 3-500 bath. buy now Address: Situated on the roadside outside the Haki Lim Hieng shop on 446 Yaowarat Road – the old market side of the Yaowarat road. How to get there: Take the MRT to Hua Lamphong Station and walk to Yaowarat road. The signature dish at Xia Hu Chalam is shark fin soup (hu Chalam), but I came for the the fish maw (krapho). The options are either as a soup (pla) or stir-fried (pad). I went for the soup version as that is what I prefer. I also ordered a plate of stir-fried Hong Kong egg noodles with crab meat. Both serving came out tasty and properly made with the right texture. The fish maw is absolutely excellent. See full review at StreetsideBangkok.